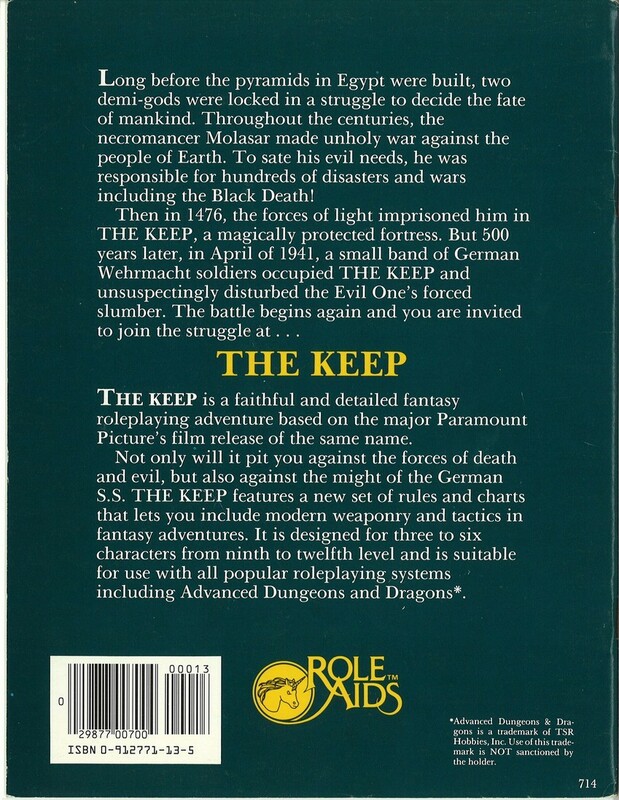 What the hell “popular role-playing systems” are going to be compatible with The Keep? Call of Cthulhu, maybe? I’d love to browse the whole module. 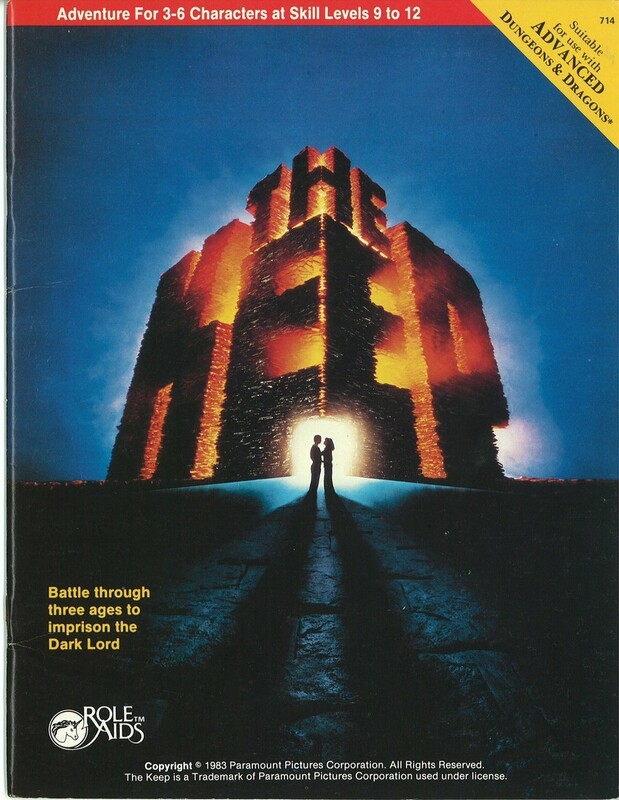 Same cover art as the board game. Maybe Paramount required that this version be used on all licenses. I just noticed that the word ‘Nazi’ is not used on the front and back covers of either game.